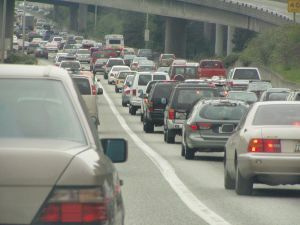 The summer is here and that means school’s letting out soon and student drivers will be hitting the road in full force. The summer also kick off the start of the 100 deadliest days of the year for teen drivers, according to Mother’s Against Drunk Driving. Nine out of the ten top deadliest days for young drivers occur between the months of May and August. In 2009, our nation’s roadways witnessed roughly 3,000 teen drivers die in in teen car accidents in Boston and elsewhere. Another 350,000 went to emergency departments with injuries suffered from these accidents. Let’s put it this way, this is a statistic that says that your child is most likely to die in a motor vehicle accident during this summer. Our Boston car accident attorneys have seen these tragedies occur all too often. For this reason it is important that we send out our young drivers with all the tools they need to help keep them safe on our roadways during these summer months and throughout the year. In 2009, Massachusetts witnessed nearly 50 teen deaths from motor vehicle accidents that involved a driver aged 15 to 19, according to the National Highway Traffic Safety Administration (NHTSA). -Make sure that your teen knows and understands the effects and consequences of drinking and driving. -Insist that your teen wear their seat belt whenever a vehicle is in motion. Minimal seat belt use is one of the leading causes for driver and passenger injury and death. -Be sure to curb their distracted driving habits. Establish rules that prohibit the use of cell phones, texting or any other dangerous activities behind the wheel. -Limit the amount of time that your teen can operate a motor vehicle during the evening hours. -Set a limit to the number of passengers that your teen can drive with at any given time. A recent study, conducted by the Allstate Foundation concluded that roughly 90 percent of teen drivers consider their parents as the biggest influence on their own driving habits. For this reason, we continue to urge that you speak with your teen about the importance of good driving habits and the consequences of poor choices behind the wheel. Parents are also urged to negotiate a parent-teen driving agreement with your young driver in an attempt to set with some ground rules that you and your teen driver can agree on. According to the Insurance Institute for Highway Safety (IIHS), teen accidents are four times more likely to occur than accidents in any other age group. Join the Mother’s Against Drunk Driving facebook page for more tips and advice about keeping your young driver safe on our roadways during their summer break. If you or a loved one have been in a car accident in the Boston area, contact Massachusetts Car Accident Attorney Jeffrey S. Glassman for a free and confidential appointment to discuss your rights. Call 1-877-617-5333.